Rory McIlroy isn't the only man plotting his path to Major glory in 2019. While McIlroy recharges for next season and his bid to win that elusive fifth Major title, Tiger Woods has one eye on next year as he puts a momentous 2018 to bed at his $3.5m 18-man Hero World Challenge in the Bahamas. With $1m for the winner, $100,000 for the player finishing last and precious world ranking points up for grabs, it's no surprise that 14 of the world's top 20 (all conspicuous by their absence from last week's World Cup of Golf in Melbourne) have joined the 14-time Major winner in Albany. Making the trip required little effort from Woods, who lives just 200 miles away, or Bahamas resident Justin Rose, who can regain the world No 1 spot from the absent Brooks Koepka if he wins or finishes no worse that tied second with two others. Perhaps the more exciting world rankings scenario would be Woods' moving to sixth from a career-low of 970th just 17 months ago, should he capture the title. 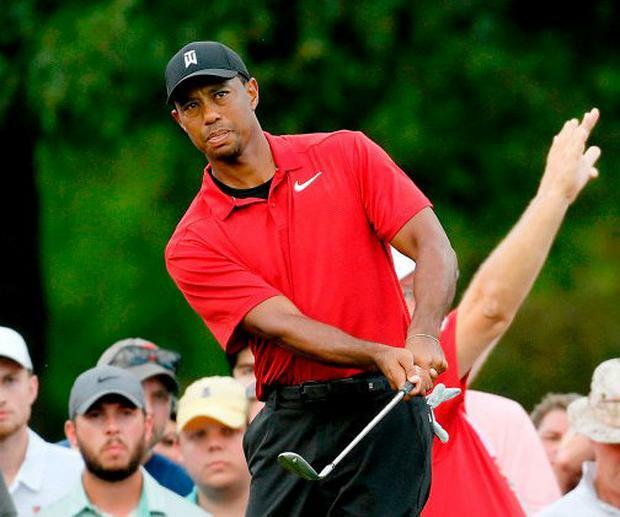 Given his challenges for two of the four Majors in 2018 before he paraded the Tour Championship trophy under the noses of Rose and McIlroy in Atlanta, few doubt Woods can challenge for a 15th Major win next season. "What I did in the last two Major championships, I gave myself a chance to win both of them, and I was right there," said Woods, who tied for sixth in The Open at Carnoustie and second in the PGA in St Louis. "That's what we want to have happen. Now it's about trying to get everything to peak together like I did for those two weeks, to do it four more times." Gavin Moynihan, who regained his European Tour card at the Qualifying School earlier this month, has two pre-Christmas chances to make hay, starting in the €1m Afrasia Bank Mauritius Open before heading to Johannesburg for next week's South African Open. He's joined in Mauritius, not only by course designer Ernie Els but by Niall Turner, who got just nine starts on the Asian Tour this year. It's one of two European Tour co-sanctioned event this week with Michael Hoey in action in the Australian PGA Championship at RACV Royal Pines Resort in Queensland. Hoey is joined by Ardglass' Cormac Sharvin and Tramore's Robin Dawson. Sunshine golf is also on the cards for Paul McGinley, Philip Walton, Eamonn Darcy, Brendan McGovern and Des Smyth when they tee it up in the Costa Blanca Benidorm Senior Golf Masters at Melia Villaitana tomorrow. Brian Keogh Seamus Power walked away from the RBC Heritage on Sunday with even more respect for Tiger Woods and renewed belief that his own moment of glory is near at hand. Brian Keogh Shane Lowry came up short in his bid for a second tour win of the season as Seamus Power took a big step towards retaining his PGA Tour card with a top-10 finish in the RBC Heritage in Hilton Head.